It’s human to not want to feel alone. Every day on some level (subconscious or non) we’re searching for someone who understands our journey and what we’re going through, even if we’re unable to put it into words ourselves. Mainstream rap music is overrun with too many personalities that talk at you, rather than to you and with you. Perhaps that’s what drew us to our latest interview subject. Enter Nyck Caution, the sole white rapper in the world-famous Pro Era collective. Aside from being a contender for the 2016 XXL Freshman Class, Caution‘s music speaks to the youth of the world that’s desperately seeking for a better tomorrow, even if that utopia only exists in their mind or in their headphones. This summer looks incredibly promising for the Brooklyn kid, who also just turned 22 in January. Hip-hop fans across the country will be able to check out Nyck Caution on tour with Cam’ron on The Smoker’s Club Tour, which also features Smoke DZA, The Underachievers, G-Herbo, and a few more. In our interview, we got Nyck to dish out his recipe for success in the studio, the moment he realized his own potential, and how his spirituality shaped his latest project, Disguise The Limit, available for streaming on Soundcloud. Read on, and see all dates for The Smokers Club Tour below. What happens when a black kid from California models the name of his indie music festival after one of the biggest festivals in the country? Well, you get a cease and desist letter, and the threat of a $100 million lawsuit from the lawyers of that bigger festival, apparently. News of a “Hoodchella” meltdown was taking over our side of social media, and had even made its way to TMZ. A few times. In no time at all, the concert that was originally scheduled to be a 1-day show of performers and DJs, had grown to a 3-day fest with over 100 names filling up the bill. 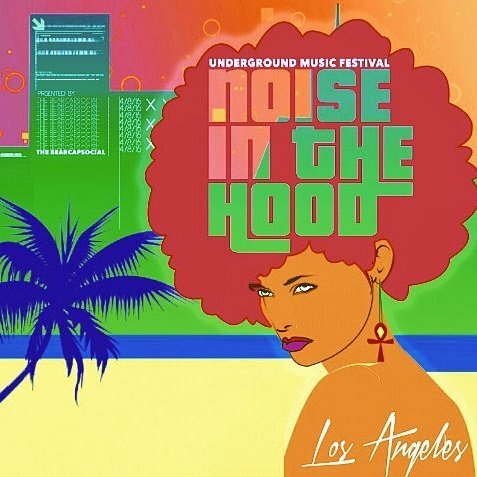 In February, however, we got to speak with Hoodchella co-creator Bearcap Sunday about what had happened to his brainchild that took after the name of the Coachella Music Festival, now known as Noise In The Hood. The 3-day festival kicks off today and will last until Sunday April 10. 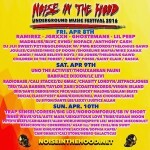 Read below, and purchase tix for the event on the official Noise In The Hood website. 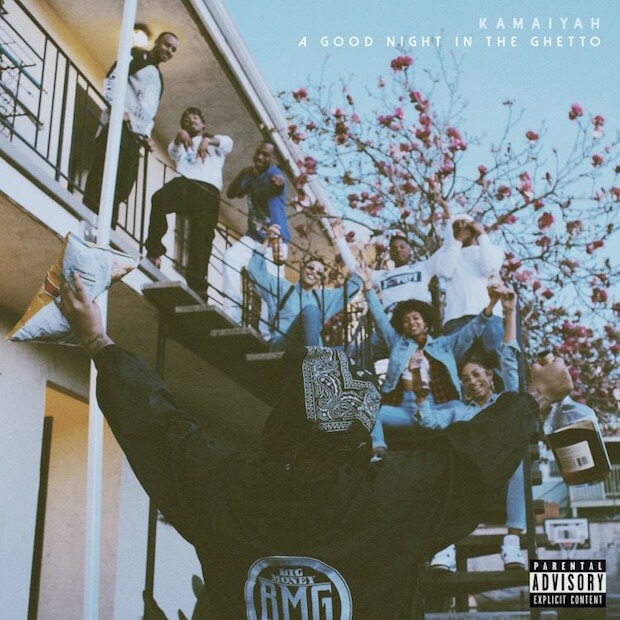 Every so often I stumble upon some really dope music, and 21-year-old Oakland rapper Kamaiyah has definitely caught my attention. I’ve been hearing her songs “How Does It Feel,” “Swing My Way” and “I’m On” on fellow Bay native NEF The Pharaoh‘s Snapchat lately and was really feeling them. Unfortunately, I had no idea whose songs they were. Fast forward to SXSW, I ran into Kamaiyah and her manager Brandon (who I know because he also manages YG,) and I put 2 and 2 together after she handed me a USB with her debut project, A Good Night In The Ghetto. Artists, take note – the USB was in the shape of an old school cell phone, and was by far the most memorable one in the sea of CDs and USBs given to me by musicians during my trip! A Good Night In The Ghetto is minimal on features, but it does include YG, her Big Money Gang crew and Netta Brielle. Stream the project below! 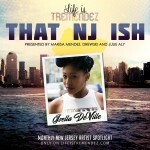 Last week Marisa, Drewski, and myself launched That NJ Ish on LifeIsTremendez.com. The four-part series will put a spotlight on a different artist from New Jersey every month, and feature new music from them, exclusive interviews, freestyles and more. 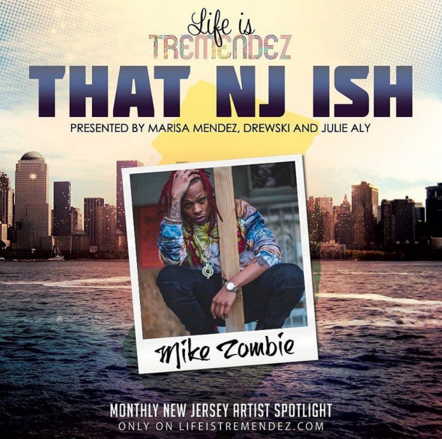 When Marisa and I decided to create That NJ Ish, she mentioned featuring Mike Zombie and it was almost a no-brainier. Many know him as “Zombie On The Track,” the mastermind behind instrumentals such as Drake‘s “Started From The Bottom,” DJ Khaled‘s “They Don’t Love You No More,” and more. Although he’s signed to Drake‘s OVO imprint as a producer, many fail to realize that Mike is also an unsigned rapper and he can actually rap. 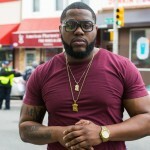 The Willingboro, New Jersey native released his first mixtape, The End Of The Beginning, in 2013 and Rebel Without A Cause in 2015. 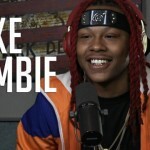 Since then, Zombie had liberated some heat including “Hella Crack 2″ with Mir Trillz, “Autograph,” “You A Dub,” and more. 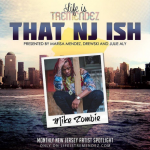 Mike Zombie is one of those guys that commands attention unknowingly. It’s not his height or his bright red hair that draws people in, it’s his aura. He’s not necessarily a “funny guy,” he’s not loud, or the type that necessarily wants to be center of attention but he is. Although this was my first time meeting Mike, it feels almost as if I’m catching up with an old friend. 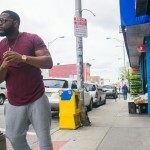 As we stand in Suvas in Jersey City, I asked him some questions about rapping verses producing, his dream collaborations, what it’s like growing up in South Jersey, his standing with OVO and more. 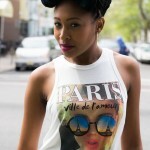 I’m excited about Lexii Alijai. I was introduced to the young Minnesota native earlier this year, when she appeared alongside Kehlani on her critically acclaimed mixtape, You Should Be Here. Spitting on the track “Jealous,” I was immediately intrigued by Lexii‘s delivery because of her coarse voice and no f*cks given attitude, and was even more intrigued when I saw on Instagram that she was a pint-sized pretty little thing! Definitely NOT what I pictured! 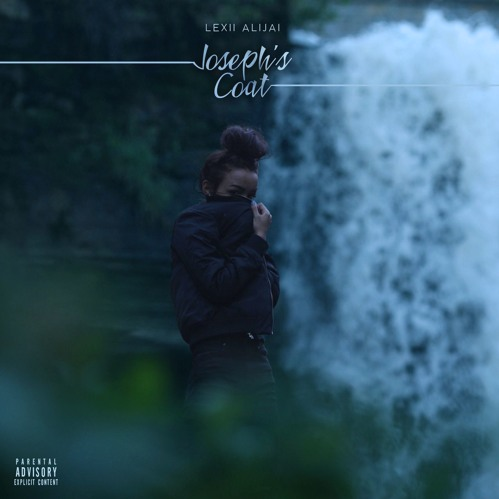 It’s hard to really get a scope of an artist when you’re basing them off of one 16 on a guest spot, and this project truly gives Lexii an identity. And I’m loving it! Stream Joseph’s Coat below and download the project here! We named Dave East as one of our 7 artists to watch for 2015 at the top of this year, and he’s definitely living up to the hype! 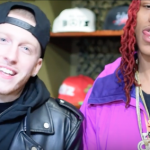 For his first major release of the year, the Harlem spitter teams up with DJ Drama for a Gangsta Grillz version of Hate Me Now. The 20-track project features some of New York‘s elite, from OGs like Jadakiss and Styles P to of course his mentor/CEO Nas, as well as up-and-comers like Tray Pizzy and Makarel. Tomorrow, a no-DJ version will be available for purchase on iTunes. New York‘s rap scene has had small “comeback” waves over recent years, but very few are true to that feeling Jay and Nas and Biggie brought back in the 90s. 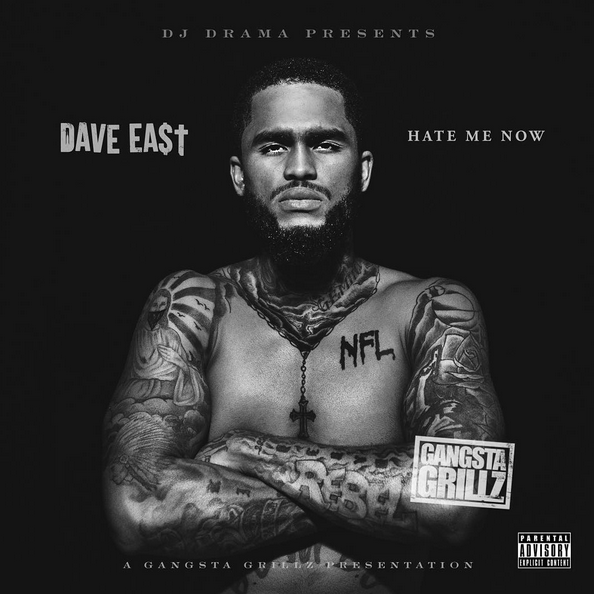 Dave East definitely brings that on Hate Me Now, and it’s only a matter of time before he makes that “Forbes List” he’s dreaming of. Stream and download the project below! People send me their music links all day long on social media and in my email, but with a schedule like mine, it’s damn near impossible to ever sit there and listen to it…not to mention the fact that I really don’t care to. Being that I have no interest in being a manager or a publicist, I’m not really scouting for new talent like, ever. However, there are times when I stumble across new things that I love. Working in music, I meet tons of artists all of the time – some already established, some working their way up. Of the latter, it’s more than just the music that tends to pique my interest, as I pay attention to their social media interaction, their personality, their style, the team they’ve put in place (because NO one can do this on their own,) and their overall brand. There are tons of songs I come across from upcoming artists that I do enjoy, but if the only thing they have going on for themselves is a good song or two, I’m not ready to commit as a “fan” just yet. That being said, there are a handful of young, hungry artists I’ve met this year, and 7 in particular truly stood out to me. I love putting people on to new music, especially stuff that I am passionate about. Though I’m not an A&R, I do recognize the fact that I’m in a position to shed light on things, and I definitely need people to be checking for these guys! 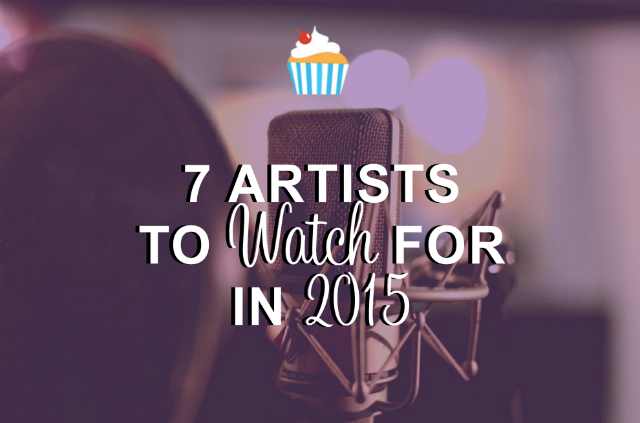 In NO order (though I do go from west to east,) check out our list below of who to watch for in 2015. Remember who told you!